Cleanliness is the biggest attractive tool in a website. Redundancy of elements can irritate someone and duplicity adds no value to it. Just smart content, simple navigation and smart use animation can make your website attractive. Enough space among the content and keywords is must because it do not make a website messy and make it clear and easy to navigate. Navigation is one of the most important tools that can stuck your visitors to your website. An innovative navigation is that finds relative information and does not rotate you in vain. Professional quality of images and content is the main attractive source of website design. Always avail the services of professional photographer. 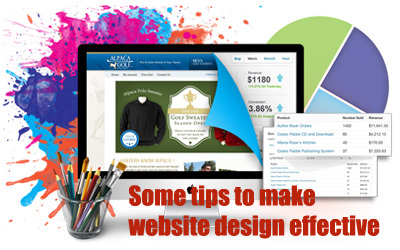 Colorful website is the attractive tool for visitors. Be smart when choosing the color and use professional color that can make your website fabulous. Logo is recognition of corporate. Always hire professional designer that can make a attractive logo and use it as a navigation that can move you to the home page.